One of the toughest management challenges for a small business is successful succession from one owner to another. It is so challenging that most small businesses don’t survive it. For the owner of a small business, it’s important to treat your succession as a process, not an event. It’s also important to plan for your succession early. A business succession will take several years. It will also involve an array of issues both personal and professional for you and your business. If done wrong, all the energy and value you put into your business could be lost. However, following the steps below will help you plan a smooth succession for your small business. 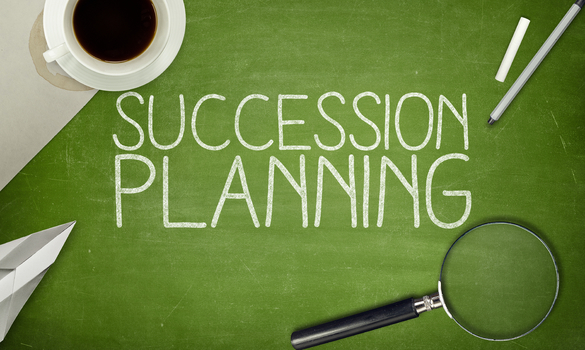 The most important step in succession planning is picking an effective successor. Without someone trustworthy to hand the business to, your small business will likely fail. It’s important to consider options both inside and outside your current business. Take time doing this, years if needed. You want to allow the person to have some pardons and not pressure them into anything. Remember you not only have to justify your choice in successor to yourself, you’ll also have to do so to other employees you didn’t pick for the role. As a result, it’s important to pick a successor who has proven themselves through hard work, leadership skills, and vision. When dealing with a long-term financial process, like succession planning, it’s smart to hire a team of professionals to work for you. A good small business succession team should have a certified public accountant (CPA), a financial advisor, and an estate planning attorney. You may also need a corporate attorney, depending on how your business is structured. These professionals can work together to build an efficient business transition plan. The CPA will also help determine the value of your business and what’s needed to protect it against taxes during the transition. Taking the time and money to hire this team will be worth it in the money they’ll save you over this process. The safest way to transfer control of the business is through a buy-sell agreement. This legally binding contract will establish when and how your interests in the company can be sold. As outlined in a proper business continuity plan, this will let you establish a legal successor and see to it they’re provided the shares in case of your death or incapacitation. It will also establish a timeline for your retirement. This agreement is then funded through your life insurance policy. A buy-sell agreement will guarantee your wishes are carried out, regardless of whether you’re present to see them through. It’s important to avoid just handing over the business to your successor. That’s legally possible, but the taxes burden on your successor will be severe. The best way to avoid this is to form either a grantor retained annuity trust (GRAT) or a grantor retained unitrust (GRUT). These trusts will hold the company assets and transfer them to your successor over time. It also provides an income for you at the same time. This means the remaining unused assets are protected from taxes through the transition. Thinking ahead about the transfer by using such a trust can save you and your successor a lot of money in taxes. Now that your successor is legally installed, make sure they’re ready to take your place. Make sure your successor benefits from your years running the business. Give your successor regular goals and forecasting methods to handle swings in business. You can establish trial periods in which you grant your successor total control while you stay away. Building this legal framework and protecting your company’s assets won’t matter if your successor doesn’t know how to run the company when they take over. Planning the succession of a small business is the most important thing an owner can do for the future of the company. Following these steps will see to it the succession will go smoothly. Pick a successor you trust to carry on the business. Hire experts to help navigate the legal minefield of succession. Establish a buy-sell agreement to legal ensure your wishes. Consider a GRAT or GRUT to protect your asset transfer from heavy taxes. Train your successor to succeed in the business. You’ve put a great deal of value into your small business, these steps will protect your hard work for the next generation.